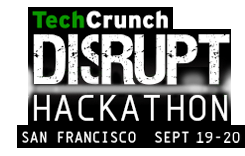 PCH invites you to get hands on at their hardware hackathon hosted during the TechCrunch Disrupt SF Hackathon. PCH will provide mentors to help you get what you need plus a variety of machines and tools that you can use to build your products on site, at no charge. They will be giving away prizes to the top three hardware hack teams such as memberships to TechShop and even cash! Brainstorm your physical hardware prototype hack ideas and form your teams via the Discussions tab on the Disrupt SF wiki page. Past PCH hackathons have seen everything from wearable health monitors, to connected toys, human powered energy sources, connected jewelery and much more! A full list of parts and tools available at the hackathon will be posted here as we get closer to the event but if you have a request for specific tools, please email events@hardwarehackathon.com. Stay tuned for more mentor announcements! Brady is Vice President at Highway1, PCH’s incubator program. A prolific speaker and maker on the geek scene, Brady can be found at speaking engagements around the world, inventing new forms of transportation at Burning Man, or creating in the Highway1 San Francisco workshop. Additionally, Brady writes for O’Reilly Radar, tracking changes in technology. Brady is the founder of Ignite, a geek event which has spread to over a hundred cities worldwide. David Austin is VP of PCH Access, a program at PCH, which provides hardware startups with premium design, engineering, manufacturing and fulfillment services, as well as startup friendly finance and credit terms. In this role, David is responsible for helping reduce the barriers to market entry for startup companies. Prior to joining PCH Access, David was program director for Media Camp at Turner Broadcasting System, Inc. There, David defined, launched and executed a new accelerator program targeting early stage technology companies in the media industry. David spent 17 years at Apple, first in senior business development roles, and later rejoined as a senior director focused consumer product development. David has also held executive and investment related roles in venture capital firms, and is co-founder of Andiamo Ventures, Inc. and founder of Sunair Ventures LLC. A graduate of Eastern Washington University, David has a bachelors of science degree in math and computer science. PCH designs custom product solutions for startups and Fortune 500 companies. 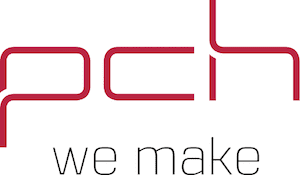 Whether design engineering and development, manufacturing and fulfillment, distribution or retail, PCH takes on the toughest challenges. If it can be imagined, it can be made. At PCH, we make.